ALASKA WHITE- Beautiful, Resilient 3cm PREMIUM First Grade Alaska White is a popular type of exotic granite. Alaska White granite displays as an white, beige, grey stone with black and gold or yellow slivers, patches and veining throughout the stone. Alaska White exotic anomalies and is an attractive choice for kitchen counters,fireplaces or commercial usage. 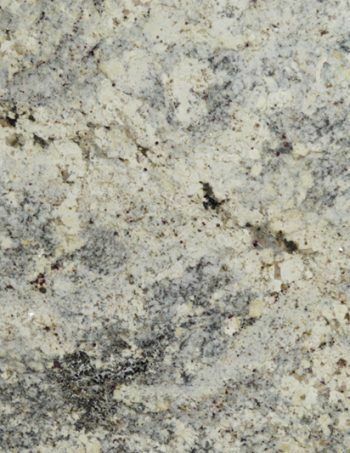 Color: White stone with beige, grey and black and sometimes slivers of gold with patchiness and veining Characteristics: Beautiful, Resilient, Stain and Scratch Resistant Popularity: Strong residential markets and commercial choice granite Cabinets: Alaska White goes with most medium to dark wood stain or colored cabinets Grade: 1st grade, Premium Select Thickness: 3cm, 2cm *Alaska White is a safe color for marketability and real estate investments. Remember to input the true (or best estimate) square footage amount in sq.ft box. A typical kitchen is 40-75 square feet. Kitchens with islands and bar tops can be significantly more. Vanity tops are typically 20-50 sq.ft. Also remember to calculate any backsplash (4 inch typical or full backsplash) in the total square footage. Click here to learn how to measure and calculate your countertops's true square footage. 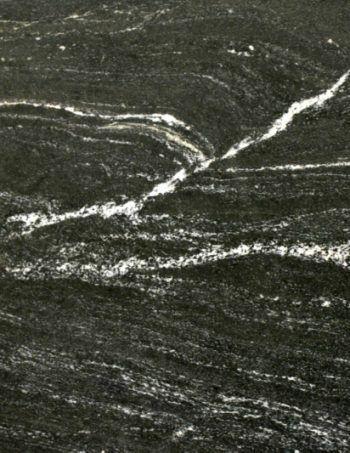 BLACK INDIANO- Beautiful, Resilient 3cm PREMIUM First Grade Black Indiano is a popular type of exotic granite. Black Indiano granite displays as a black based stone with medium creamy yellow ribbons throughout with raspberry/burgundy crystals to give it warmth and depth, patches and veining throughout the stone. Black Indiano exotic anomalies and is an attractive choice for kitchen counters,fireplaces or commercial usage. Color: Black stone with creamy yellow beige, grey and burgundy with patchiness and veining Characteristics: Beautiful, Resilient, Stain and Scratch Resistant Popularity: Strong residential markets and commercial choice granite Cabinets: Black Indiano goes with most light to medium wood stain or colored cabinets Grade: 1st grade, Premium Select Thickness: 3cm, 2cm *Black Indiano is a safe color for marketability and real estate investments. Remember to input the true (or best estimate) square footage amount in sq.ft box. A typical kitchen is 40-75 square feet. Kitchens with islands and bar tops can be significantly more. Vanity tops are typically 20-50 sq.ft. Also remember to calculate any backsplash (4 inch typical or full backsplash) in the total square footage. Click here to learn how to measure and calculate your countertops true square footage. 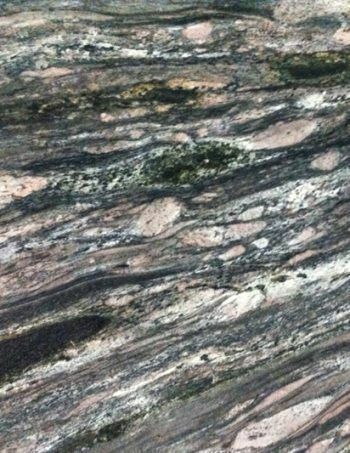 ALPINUS- Beautiful, Resilient 3cm PREMIUM First Grade Alpinus is a popular type of exotic granite. 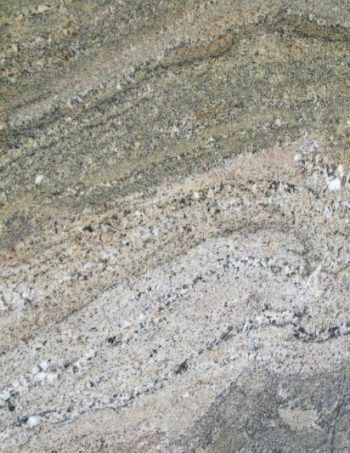 Alpinus granite displays as an white, beige, grey stone with black patches and veining throughout the stone. Alpinus exotic anomalies and is an attractive choice for kitchen counters,fireplaces or commercial usage. Color: White stone with beige, grey and black with patchiness and veining Characteristics: Beautiful, Resilient, Stain and Scratch Resistant Popularity: Strong residential markets and commercial choice granite Cabinets: Alpinus goes with most medium to dark wood stain or colored cabinets Grade: 1st grade, Premium Select Thickness: 3cm, 2cm *Alpinus is a safe color for marketability and real estate investments. Remember to input the true (or best estimate) square footage amount in sq.ft box. A typical kitchen is 40-75 square feet. Kitchens with islands and bar tops can be significantly more. Vanity tops are typically 20-50 sq.ft. Also remember to calculate any backsplash (4 inch typical or full backsplash) in the total square footage. Click here to learn how to measure and calculate your countertops's true square footage. OCEAN FLOWER- Beautiful, Resilient 3cm PREMIUM First Grade Ocean Flower is a popular type of exotic granite. 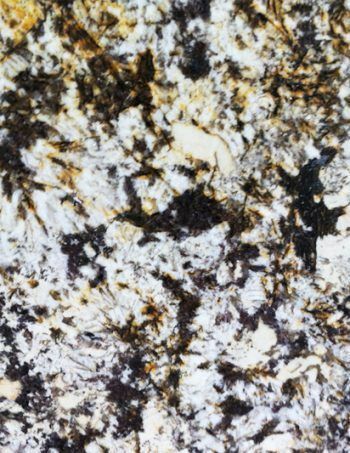 Ocean Flower granite displays as a black with beautiful tints of cream, beige and raspberry in spongy swirls throughout the stone. Ocean Flower is an attractive choice for kitchen counters,fireplaces or commercial usage. Color: Black,creamy white, beige, raspberry and greys stone in a black base, swirls and veining Characteristics: Beautiful, Resilient, Stain and Scratch Resistant Popularity: Strong residential markets and commercial choice granite Cabinets: Ocean Flower goes with most light to dark wood stains and colored cabinets Grade: 1st grade, Premium Select Thickness: 3cm, 2cm *Ocean Flower is a safe color for marketability and real estate investments. Remember to input the true (or best estimate) square footage amount in sq.ft box. A typical kitchen is 40-75 square feet. Kitchens with islands and bar tops can be significantly more. Vanity tops are typically 20-50 sq.ft. Also remember to calculate any backsplash (4 inch typical or full backsplash) in the total square footage. Click here to learn how to measure and calculate your countertops true square footage. 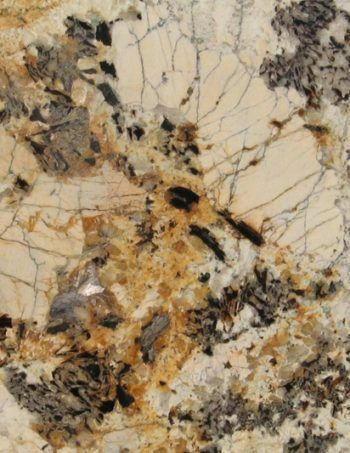 SNAKE BROWN- Beautiful, Resilient 3cm PREMIUM First Grade Snake Brown is a popular type of exotic granite. Snake Brown granite displays as a chocolate brown with beautiful squiggly lines streaks and swirl patterns of light brown, beiges and gold throughout the stone. Snake Brown is an attractive choice for kitchen counters,fireplaces or commercial usage. Color: Chocolate brown,creamy white, beige, gold and light brown stone in a black base, swirls, streaks and squiggly lines Characteristics: Beautiful, Resilient, Stain and Scratch Resistant Popularity: Strong residential markets and commercial choice granite Cabinets: Snake Brown goes with most light to dark wood stains and colored cabinets Grade: 1st grade, Premium Select Thickness: 3cm, 2cm *Snake Brown is a safe color for marketability and real estate investments. Remember to input the true (or best estimate) square footage amount in sq.ft box. A typical kitchen is 40-75 square feet. Kitchens with islands and bar tops can be significantly more. Vanity tops are typically 20-50 sq.ft. Also remember to calculate any backsplash (4 inch typical or full backsplash) in the total square footage. Click here to learn how to measure and calculate your countertops true square footage. 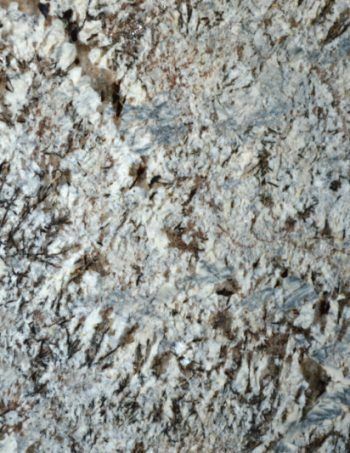 VIA LATEA- Beautiful, Resilient 3cm PREMIUM First Grade Via Latea is a popular type of exotic granite. Via Latea granite displays as a black with beautiful tints of creamy beige and white in streaks and swirls throughout the stone. Via Latea is an attractive choice for kitchen counters,fireplaces or commercial usage. Color: Black,creamy white, beige, swirls and streaks Characteristics: Beautiful, Resilient, Stain and Scratch Resistant Popularity: Strong residential markets and commercial choice granite Cabinets: Via Latea goes with most light to dark wood stains and colored cabinets Grade: 1st grade, Premium Select Thickness: 3cm, 2cm *Via Latea is a safe color for marketability and real estate investments. Remember to input the true (or best estimate) square footage amount in sq.ft box. A typical kitchen is 40-75 square feet. Kitchens with islands and bar tops can be significantly more. Vanity tops are typically 20-50 sq.ft. Also remember to calculate any backsplash (4 inch typical or full backsplash) in the total square footage. Click here to learn how to measure and calculate your countertops true square footage. 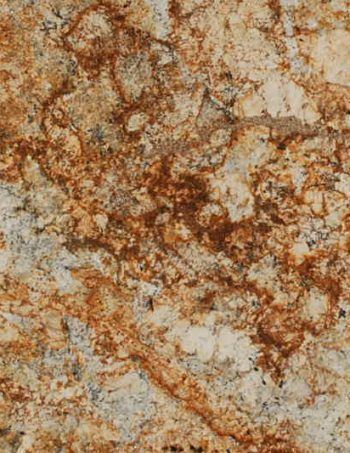 CREMA BORDEAUX- Beautiful, Resilient 3cm PREMIUM First Grade Crema Boureaux is a very popular type of exotic granite. 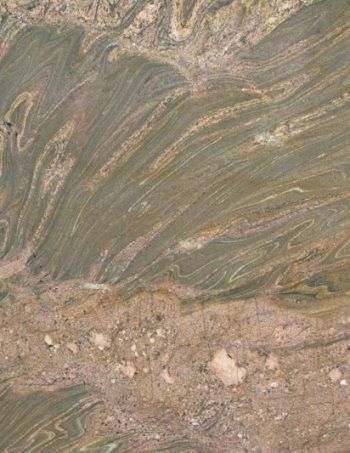 Crema Boureaux granite displays as a vivid eyecatching stone with beautiful exotic swirls of burgundy, raspberry, tan brown, beige, gray, white and gold throughout the stone. Crema Boureaux is an attractive choice for kitchen counters,fireplaces or commercial usage. Color: Beautiful exotic swirls of burgundy, raspberry, tan brown, beige, gray, white and gold Characteristics: Beautiful, Resilient, Stain and Scratch Resistant Popularity: Strong residential markets and commercial choice granite Cabinets: Crema Boureaux goes with most light to medium wood stains and colored cabinets Grade: 1st grade, Premium Select Thickness: 3cm, 2cm *Crema Boureaux is a safe color for marketability and real estate investments. Remember to input the true (or best estimate) square footage amount in sq.ft box. A typical kitchen is 40-75 square feet. Kitchens with islands and bar tops can be significantly more. Vanity tops are typically 20-50 sq.ft. Also remember to calculate any backsplash (4 inch typical or full backsplash) in the total square footage. Click here to learn how to measure and calculate your countertops true square footage. DELICATUS WHITE LEVANTINA- Beautiful, Resilient 3cm PREMIUM First Grade Delicatus White Levantina is a popular type of exotic granite. 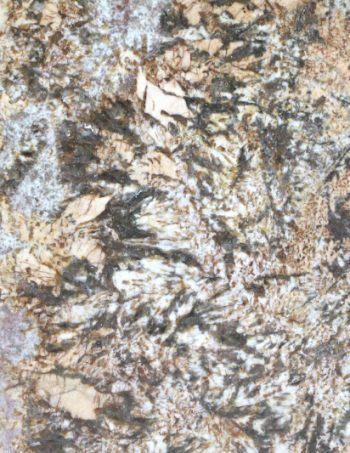 Delicatus White Levantina granite displays as an white stone with black and gold patches and veining throughout the stone. Delicatus White Levantina exotic anomalies and is an attractive choice for kitchen counters,fireplaces or commercial usage. 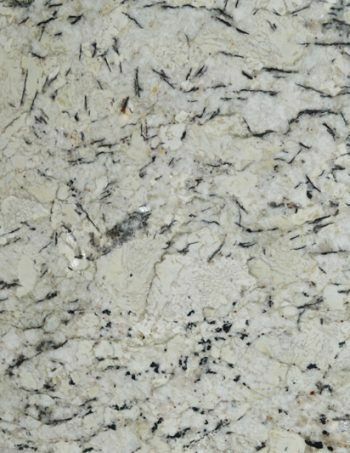 Color: White stone with black and gold patches and veining Characteristics: Beautiful, Resilient, Stain and Scratch Resistant Popularity: Strong residential markets and commercial choice granite Cabinets: Delicatus White Levantina goes with most medium to dark wood stain or colored cabinets Grade: 1st grade, Premium Select Thickness: 3cm, 2cm *Delicatus White Levantina is a safe color for marketability and real estate investments. Remember to input the true (or best estimate) square footage amount in sq.ft box. A typical kitchen is 40-75 square feet. Kitchens with islands and bar tops can be significantly more. Vanity tops are typically 20-50 sq.ft. Also remember to calculate any backsplash (4 inch typical or full backsplash) in the total square footage. Click here to learn how to measure and calculate your countertops true square footage. DELICATUS WHITE CLASSIC- Beautiful, Resilient 3cm PREMIUM First Grade Delicatus White Classic is a popular type of exotic granite. Delicatus White Classic granite displays as an white stone with black slivers and minute gold patches and veining throughout the stone. Delicatus White Classic exotic anomalies and is an attractive choice for kitchen counters,fireplaces or commercial usage. Color: White stone with black slivers and gold patches and veining Characteristics: Beautiful, Resilient, Stain and Scratch Resistant Popularity: Strong residential markets and commercial choice granite Cabinets: Delicatus White Classic goes with most medium to dark wood stain or colored cabinets Grade: 1st grade, Premium Select Thickness: 3cm, 2cm *Delicatus White Classic is a safe color for marketability and real estate investments. Remember to input the true (or best estimate) square footage amount in sq.ft box. A typical kitchen is 40-75 square feet. Kitchens with islands and bar tops can be significantly more. Vanity tops are typically 20-50 sq.ft. Also remember to calculate any backsplash (4 inch typical or full backsplash) in the total square footage. Click here to learn how to measure and calculate your countertops true square footage. EXOTIC YELLOW- Beautiful, Resilient 3cm PREMIUM First Grade Exotic Yellow is a popular type of exotic granite. 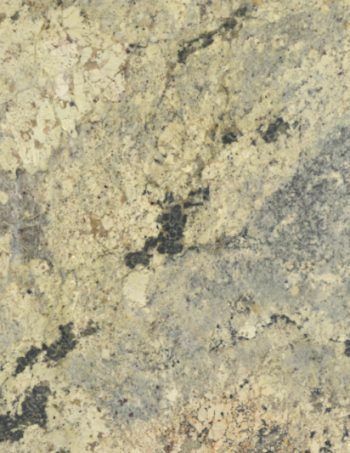 Exotic Yellow granite displays as an gold/yellow stone with cream and black patches and veining throughout the stone. Exotic Yellow exotic anomalies and is an attractive choice for kitchen counters,fireplaces or commercial usage. Color: gold/yellow stone with black slivers and cream and gold patches and veining Characteristics: Beautiful, Resilient, Stain and Scratch Resistant Popularity: Strong residential markets and commercial choice granite Cabinets: Exotic Yellow goes with most medium to dark wood stain or colored cabinets Grade: 1st grade, Premium Select Thickness: 3cm, 2cm *Exotic Yellow is a safe color for marketability and real estate investments. Remember to input the true (or best estimate) square footage amount in sq.ft box. A typical kitchen is 40-75 square feet. Kitchens with islands and bar tops can be significantly more. Vanity tops are typically 20-50 sq.ft. Also remember to calculate any backsplash (4 inch typical or full backsplash) in the total square footage. Click here to learn how to measure and calculate your countertops true square footage. 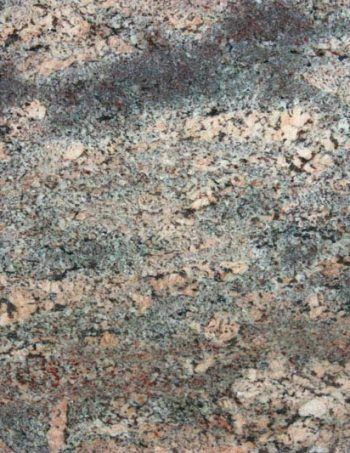 GERIBA BEACH- Beautiful, Resilient 3cm PREMIUM First Grade Geriba Beach is a very popular type of exotic granite. Geriba Beach granite displays as a beautiful white, gold and raspberry exotic stone with patches and veining throughout the stone. Geriba Beach is an attractive choice for kitchen counters,fireplaces or commercial usage. Color: White, gold and raspberry exotic stone with patches and veining Characteristics: Beautiful, Resilient, Stain and Scratch Resistant Popularity: Strong residential markets and commercial choice granite Cabinets: Geriba Beach goes with most light to medium wood stains and colored cabinets Grade: 1st grade, Premium Select Thickness: 3cm, 2cm *Geriba Beach is a safe color for marketability and real estate investments. Remember to input the true (or best estimate) square footage amount in sq.ft box. A typical kitchen is 40-75 square feet. Kitchens with islands and bar tops can be significantly more. Vanity tops are typically 20-50 sq.ft. Also remember to calculate any backsplash (4 inch typical or full backsplash) in the total square footage. Click here to learn how to measure and calculate your countertops true square footage. 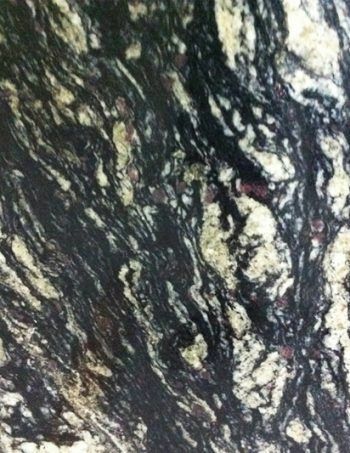 LENNON- Beautiful, Resilient 3cm PREMIUM First Grade Lennon is a popular type of exotic granite. Lennon granite displays as a light, white/grey stone with beautiful raspberry tints and black base swirls and veining throughout the stone. Lennon is an attractive choice for kitchen counters,fireplaces or commercial usage. Color: Light, white grey stone with beautiful raspberry and black base swirls and veining Characteristics: Beautiful, Resilient, Stain and Scratch Resistant Popularity: Strong residential markets and commercial choice granite Cabinets: Lennon goes with most medium to dark wood stains and colored cabinets Grade: 1st grade, Premium Select Thickness: 3cm, 2cm *Lennon is a safe color for marketability and real estate investments. Remember to input the true (or best estimate) square footage amount in sq.ft box. A typical kitchen is 40-75 square feet. Kitchens with islands and bar tops can be significantly more. Vanity tops are typically 20-50 sq.ft. Also remember to calculate any backsplash (4 inch typical or full backsplash) in the total square footage. Click here to learn how to measure and calculate your countertops true square footage. 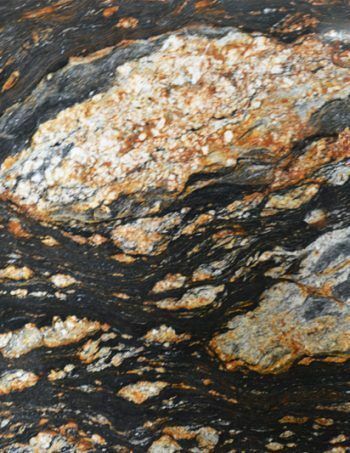 MAGMA GOLD- Beautiful, Resilient 3cm PREMIUM First Grade Magma Gold is a popular type of exotic granite. Magma Gold granite displays as a black and gold swirls with beautiful fiery orange, yellow and black base swirls and veining throughout the stone. Magma Gold is an attractive choice for kitchen counters,fireplaces or commercial usage. Color: Black, Gold creamy white, orange and yellow stone in a black base, swirls and veining Characteristics: Beautiful, Resilient, Stain and Scratch Resistant Popularity: Strong residential markets and commercial choice granite Cabinets: Magma Gold goes with most light to dark wood stains and colored cabinets Grade: 1st grade, Premium Select Thickness: 3cm, 2cm *Magma Gold is a safe color for marketability and real estate investments. Remember to input the true (or best estimate) square footage amount in sq.ft box. A typical kitchen is 40-75 square feet. Kitchens with islands and bar tops can be significantly more. Vanity tops are typically 20-50 sq.ft. Also remember to calculate any backsplash (4 inch typical or full backsplash) in the total square footage. Click here to learn how to measure and calculate your countertops true square footage. SNOWSTORM- Beautiful, Resilient 3cm PREMIUM First Grade Snowstorm is a popular type of exotic granite. Snowstorm granite displays as a creamy white and beige stone with black slivers and patches and veining throughout the stone. Snowstorm exotic anomalies and is an attractive choice for kitchen counters,fireplaces or commercial usage. Color: Creamy white beige stone with black slivers patches and veining Characteristics: Beautiful, Resilient, Stain and Scratch Resistant Popularity: Strong residential markets and commercial choice granite Cabinets: Snowstorm goes with most medium to dark wood stain or colored cabinets Grade: 1st grade, Premium Select Thickness: 3cm, 2cm *Snowstorm is a safe color for marketability and real estate investments. Remember to input the true (or best estimate) square footage amount in sq.ft box. A typical kitchen is 40-75 square feet. Kitchens with islands and bar tops can be significantly more. Vanity tops are typically 20-50 sq.ft. Also remember to calculate any backsplash (4 inch typical or full backsplash) in the total square footage. Click here to learn how to measure and calculate your countertops true square footage. SUCURI- Beautiful, Resilient 3cm PREMIUM First Grade Sucuri is a popular type of exotic granite. Sucuri granite displays as a greenish grey and beige stone with a sand layer look and veining throughout the stone. Sucuri exotic anomalies and is an attractive choice for kitchen counters,fireplaces or commercial usage. Color: Grenish grey and creamy white stone with a sand layering look and veining Characteristics: Beautiful, Resilient, Stain and Scratch Resistant Popularity: Strong residential markets and commercial choice granite Cabinets: Sucuri goes with most medium to dark wood stain or colored cabinets Grade: 1st grade, Premium Select Thickness: 3cm, 2cm *Sucuri is a safe color for marketability and real estate investments. Remember to input the true (or best estimate) square footage amount in sq.ft box. A typical kitchen is 40-75 square feet. Kitchens with islands and bar tops can be significantly more. Vanity tops are typically 20-50 sq.ft. Also remember to calculate any backsplash (4 inch typical or full backsplash) in the total square footage. Click here to learn how to measure and calculate your countertops true square footage. WHITE TREASURE- Beautiful, Resilient 3cm PREMIUM First Grade White Treasure is a popular type of exotic granite. White Treasure granite displays as an white stone with black and gold patches and veining throughout the stone. White Treasure exotic anomalies and is an attractive choice for kitchen counters,fireplaces or commercial usage. 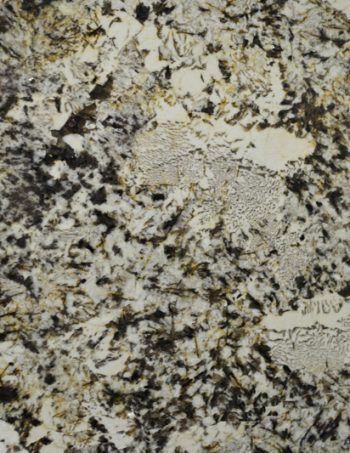 Color: White stone with black and gold patches and veining Characteristics: Beautiful, Resilient, Stain and Scratch Resistant Popularity: Strong residential markets and commercial choice granite Cabinets: White Treasure goes with most medium to dark wood stain or colored cabinets Grade: 1st grade, Premium Select Thickness: 3cm, 2cm *White Treasure is a safe color for marketability and real estate investments. Remember to input the true (or best estimate) square footage amount in sq.ft box. A typical kitchen is 40-75 square feet. Kitchens with islands and bar tops can be significantly more. Vanity tops are typically 20-50 sq.ft. Also remember to calculate any backsplash (4 inch typical or full backsplash) in the total square footage. Click here to learn how to measure and calculate your countertops true square footage. Taj Mahal- Beautiful, Resilient 3cm PREMIUM First Grade Taj Mahal is a very popular type of granite. 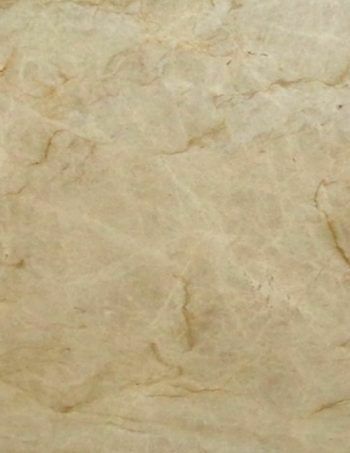 Taj Mahal granite displays as a light cream beige with classic veining patterns throughout the stone. Taj Mahal granite is a granite but looks more like marble. It is a very durable and hard stone material is highly recommended for kitchen countertops. It is a very attractive choice for vanity counters and fireplaces or other commercial uses as well. Color: Lighter beige/cream base with classic veining patterns Characteristics: Beautiful, Resilient Popularity: Strong residential markets and commercial choice marble Cabinets: Taj Mahal granite goes with most medium to dark wood stain or colored cabinets Grade: 1st grade, Premium Select Thickness: 3cm, 2cm *Taj Mahal granite is a safe color for marketability and real estate investments. Remember to input the true (or best estimate) square footage amount in sq.ft box. A typical kitchen is 40-75 square feet. Kitchens with islands and bar tops can be significantly more. Vanity tops are typically 20-50 sq.ft. Also remember to calculate any backsplash (4 inch typical or full backsplash) in the total square footage. Click here to learn how to measure and calculate your countertops true square footage.